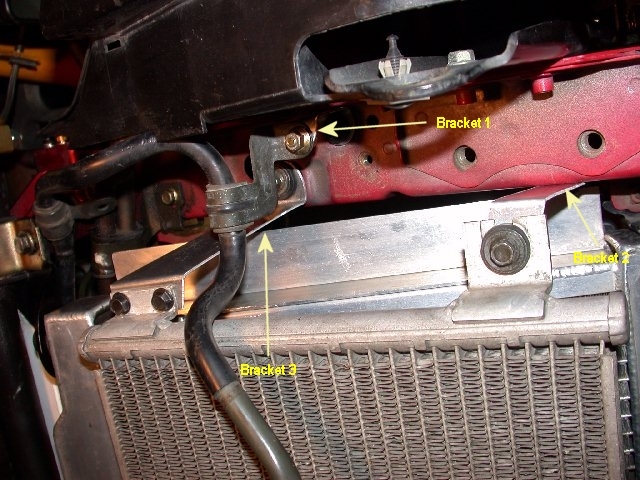 I fabricated a set of aluminum brackets and new hardware for dropping the AC condenser to a horizontal position. This will allow air a direct shot at the radiator while still maintaining a somewhat functional AC system. 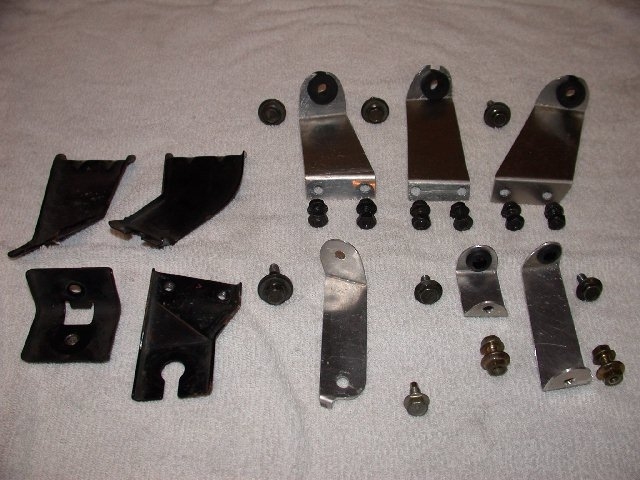 The OE brackets are pictured on the left. I made it a point to retain the OE vibration dampeners and even went so far as to add some addition rubber to the remaining bolted connections. View of passenger side brackets installed from the nose. 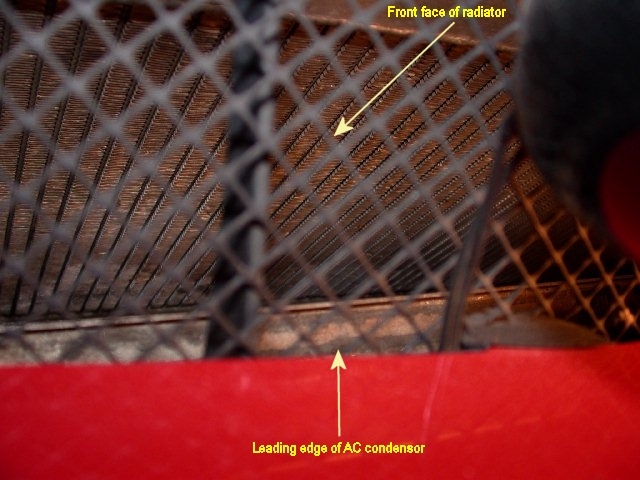 Notice airflow directly enters radiator now instead of passing through the AC condenser first. 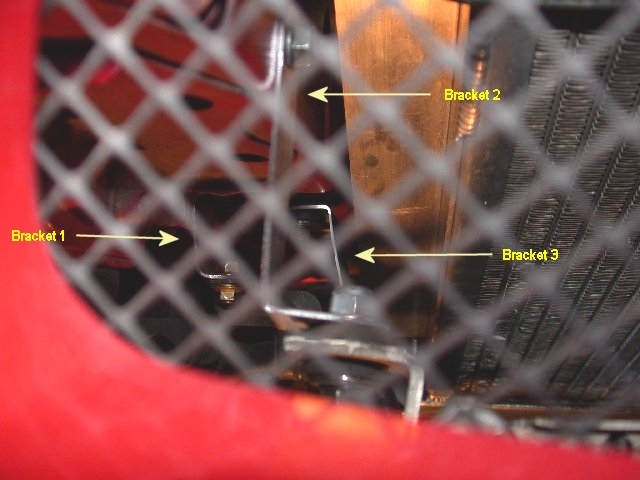 View of drivers side brackets installed from the nose. 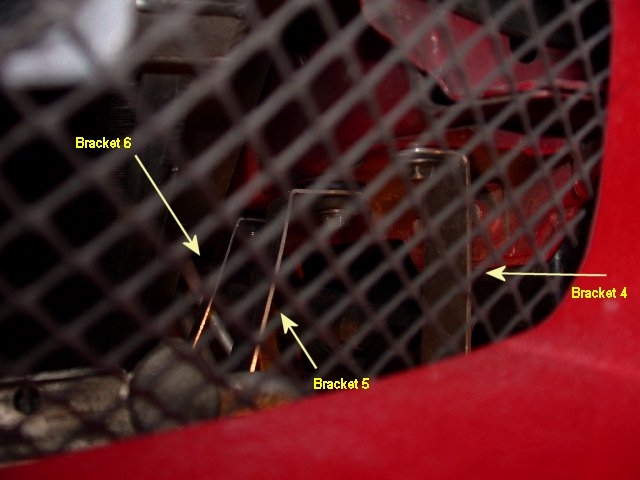 New relative locations of radiator and AC condenser with respect to the nose opening. 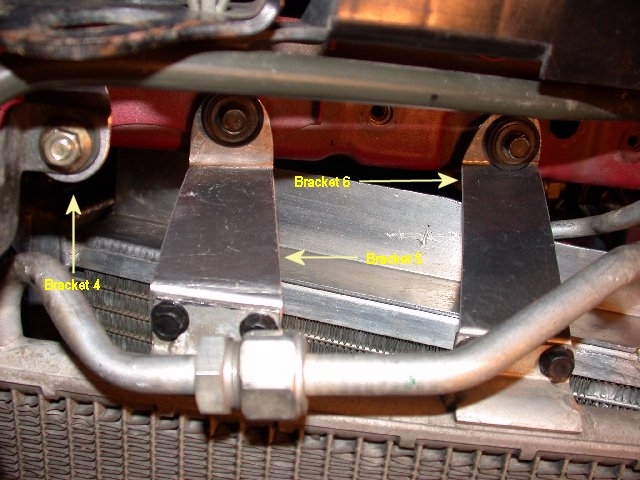 The undertray had to be modified slightly on the left and right sides to accommodate the new brackets but it is for the most part functioning exactly as it was originally. Unrelated to the AC condenser "project" here is a head on shot of the approximate location of the IC duct inlet. 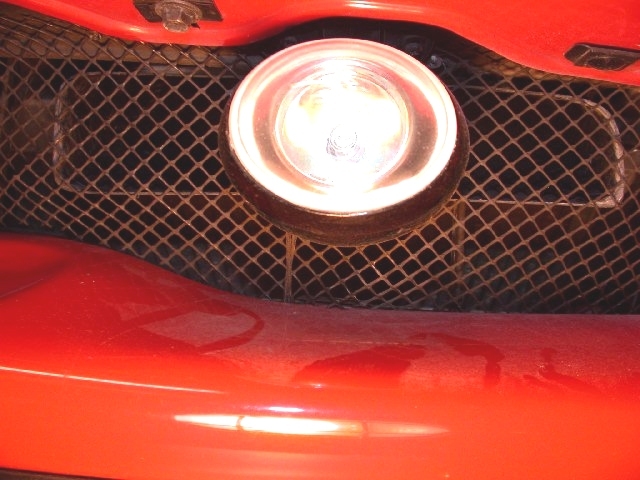 The PIAA driving light will of course be removed for track use.